Best of luck to Ciaran Frawley in his debut for Ireland u20s against Scotland on Friday Night. The selection is a source of great pride and celebration within Skerries RFC. Incredibly, Ciaran is the fifth player from Skerries to play for the Ireland U20s in as many years. Having played with Skerries RFC and Skerries Community College all the way through the underage teams, and gone straight into the senior team when he hit 18, Ciaran has always been a talented and hardworking player whose skill and game management caught the eye of spectators and opponents over the years. Guided by an excellent coaching team in Skerries, Ciaran was part of a very successful youth team that won the u17 All-Ireland competition in 2014 and which has already produced several senior players. Ciaran progressed to play at a representative level at youths, resulting in selection for Leinster and Irish teams through the age grades. 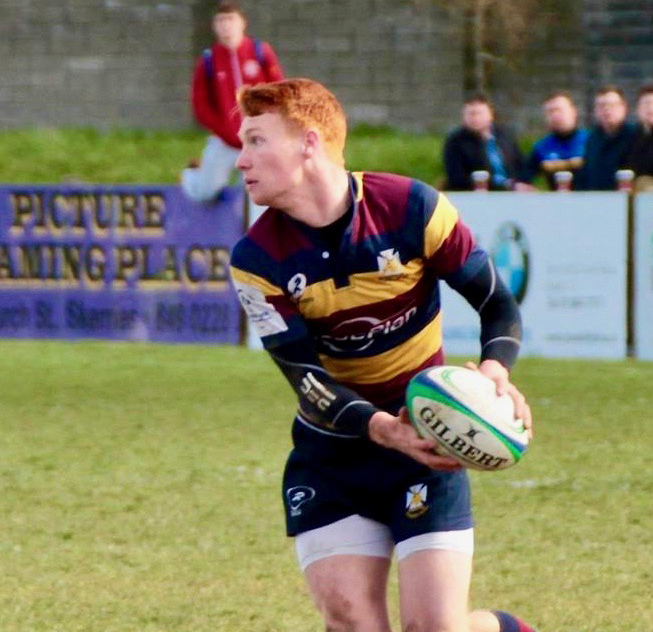 Although best known as an out-half, he’ll play at 1st Centre for Ireland u20s. Having left school, Ciaran joined UCD this season with the full support of all in the Club who continue to enjoy watching his progress. As mentioned, Ciaran is the fifth Skerries man to play for the Ireland u20s since 2012, following Mikey Sherlock, David and Alan O’Connor and Mark Oliver. This is an amazing return for a small, community Club and testament to the hard-work put in by players, coaches, volunteers and parents in the youth and minis structures. It’s something Skerries RFC can be very proud of.